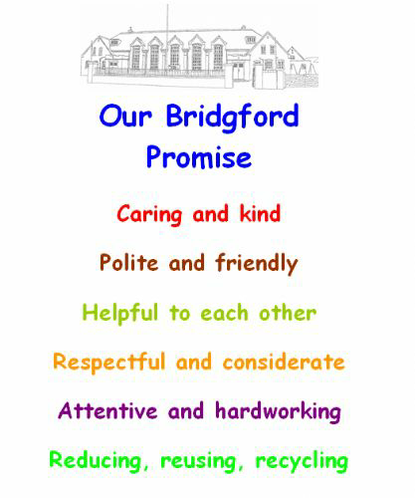 Our children and staff make the Bridgford Promise at the beginning of each year. The Promise is displayed in each classroom and can be found in the school diary. It is important to us all.